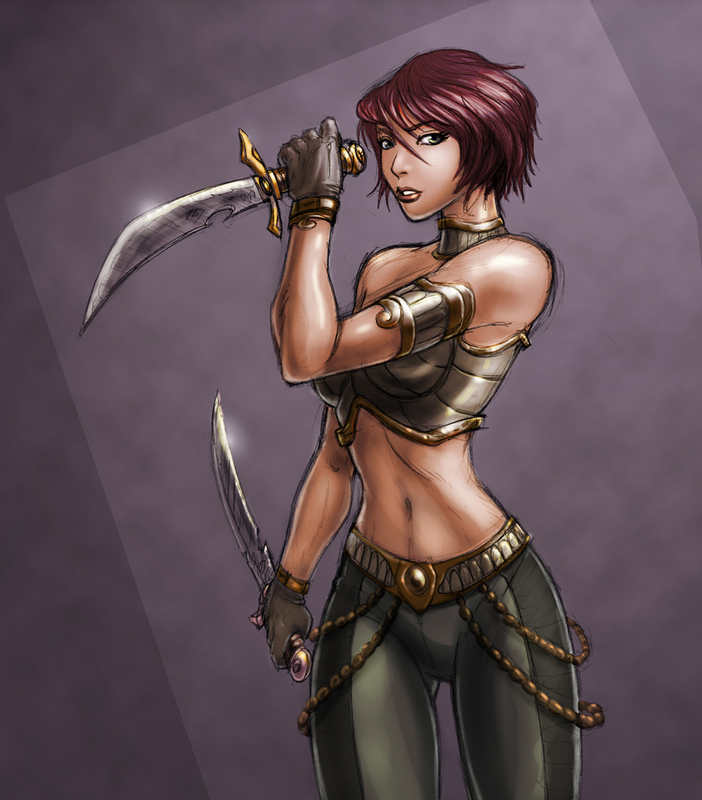 Raised on the harsh streets of Tar Mira, her blades are for hire to those with enough coin. She is a professional at her craft with an air of control and confidence about her. Known for her stealth and skill with the blade, she is a master tactician, always using her surroundings to her advantage. Her weapons are said to have magical properties. Few who cross blades with her live to tell the tale.